In the 18th round of the Serie A Fiorentina will travel towards Palermo for a confrontation with the local club. Fiorentina will restart the new year in the middle of the title race; la Viola holds 35 points out of the first 17 games and is placed second on the table having 1 point less than Inter Milan; Napoli holds the same amount of points and is currently placed second as well. Palermo on the other hand is placed 16th and is not very far from the relegation zone and will have to improve their performance in order to stay in the Italian Serie A. In the last 4 games between Fiorentina and Palermo Fiorentina managed to win all of them. We predict Fiorentina to steal the victory in Palermo and win by minimum difference 0-1. Palermo is a strong team at home but the Fiorentina squad simply contains more quality. US Citta di Palermo is an Italian footballclub which is founded in 1898 as Anglo Panormitan Athletic and Football club. Palermo is currently active in the Serie A. The club from Palermo hosts it’s games in the Stadio Renzo Barbero. The Palermo stadium is one of the most modern stadiums in Italy and holds a capacity of 38 000 spectators. Palermo is known for it’s kit: the club colours are black and pink. The home kit of the club is in flashy pink. One of the most famous nicknames of Palermo is Rosanero which means Pink black. Palermo managed to play 5 times in the UEFA cup in the club’s history. 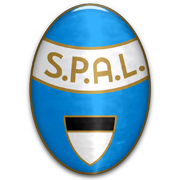 In 1931/1932, 1968/1969 and 2013/2014 the club won the Serie B title. In 1974, 1979 and 2011 Palerma ended as runner up in the Coppa Italia. US Palermo never won a title in the highest division of Italy. Amauri, Barzagli, Bresciano , Luca Toni and Cavani are the most famous football players that played for Palermo.